Do easily identifiable, understandable, and accepted-as-true words have a different definition when it comes to advertising? As I was growing up, my mom would sometimes bring home a container of ham salad from the market where she worked. As a native Midwesterner I love the stuff, and while ham salad doesn't boast the healthiest pedigree, it deserves the occasional indulgence. On a recent visit back to the Midwest I found myself staring at a big beautiful bowl of old-fashioned ham salad in a grocery store deli case. Feeling like Indiana Jones discovering the Holy Grail, my mouth watered for that long-lost taste from my youth. I ordered some from the deli worker, only to later realize that while the ham salad was tasty, it wasn't quite the taste that I remembered. I turned the container over and thought, "Why is this label so large?" After all, ham salad is a pretty basic recipe. After I read the label, I wished I hadn't. 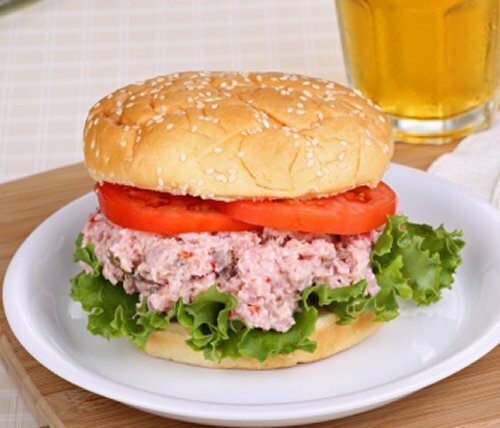 Instead of the ham salad that I knew, loved and remembered, which was made with naturally cured ham, simple mayo, the occasional boiled egg, and pickle relish, I was eating a brew of ingredients that I would never have imagined to be in ham salad. 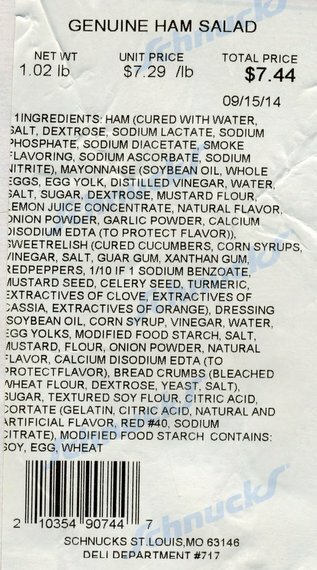 It contained things like sugar, bleached wheat-flour bread crumbs, textured soy flour, corn syrup, "artificial" flavors and red dye, all things I routinely avoid. 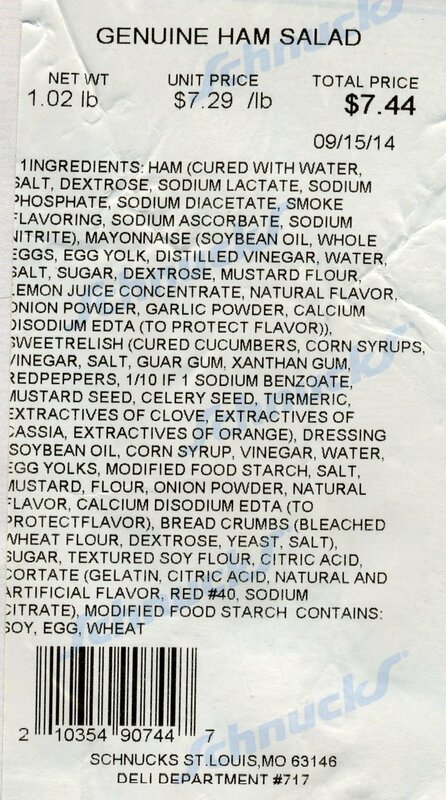 Then there is the lengthy list of additives in the ham, the mayo, and the added dressing. Yet the top of the label proclaims: "GENUINE HAM SALAD". Say what? So how does that definition apply to what is on that label? Unfortunately, when it comes to words like "genuine", "lifetime", "authentic", "improved", and other buzz words used to described products and services, finding out just how loosely or incorrectly those words are employed by advertisers and retailers falls onto the shoulders of the consumer. 1. Under FTC law, advertisers are responsible not just for the express or literal meaning of the statements they make in their ad, but also for any claim that may be communicated to a "reasonable consumer." We look at both the "dictionary" or "literal" meaning of words used in the ad and at what those words may imply to the reasonable consumer. We also look at the claims in the entire context of the ad, including the images used, other statements, product name. An ad may convey more than one meaning, and the advertiser must be able to substantiate any reasonable communication, even if it is not a claim they intended. 2. With respect to disclosures, ads can also be deceptive because of what they fail to say - "a half truth." When there is qualifying information that is necessary to prevent an ad from being deceptive, it needs to be presented clearly and conspicuously, so that consumers actually notice it and understand it. Disclosures of material information should not be buried in fine print footnotes, or flashed across a TV screen too briefly to be read. Ms. Rusk also shared relevant areas of the FTC web site, including "advertising and marketing basics" for advertisers and an "advice and tip area" for consumers. Both are helpful for any who believe they have been deceived by misleading advertisements or warranty language, etc. It's a fact of life. Sometimes the only way to get companies to do the right thing is to question the manner in which they describe or deliver their products. Words do matter. While recipes can certainly vary from cook to cook, the basic ingredients of any genuine recipe must adhere to certain recognized foods and preparation methods. The inclusion of grains, dyes, and artificial flavors in a cold meat salad is unexpected and a far cry from the age-old original, genuine, recipe for ham salad. The ham salad that spawned this article came from a Schnucks grocery store, but the same issue no doubt occurs at store delis in every corner of the country. On the positive side, I reached out to Schnucks corporate headquarters and explained why I was upset about how they described their ham salad. They got back to me two days later to say that they will remove the word "genuine" from their ham salad label. I'm impressed. They stepped up. Schnucks stands behind the very popular ham salad they have been offering for decades, but when this issue was brought to their attention, they understood that the word "genuine" might not ring true with some of their customers. Hence, they decided to re-label. Simple. Done. That doesn't happen often in the corporate world, yet they listened and took immediate action. It says a lot about the Schnucks organization that they did so. Why can't more companies be so responsive to customers' concerns? I applaud their proactive response, and if I had a Schnucks in my neck of the woods, I would shop there. Knowing that they listen to their customers makes me want to give them my business. Alas, there are no Schnucks where I live. Retailers surely have the right to sell whatever they please, as long as it is not intentionally harmful and as long as consumers can understand the purchase, without being led in the wrong direction by loosely-interpreted words. As for the ham salad, I should have checked the ingredients right away, but I had no foundation to suspect an issue. Bread crumbs may be customary in a hot ham croquette or a meatball, but not in a cold meat salad. So it simply didn't occur to me to look for such unexpected ingredients. Henceforth, I will look first and eat later, but only if I find the ingredients on the label to be inviting. Being a conscientious shopper will always be necessary, but retailers can, and should, do their part by adhering to the true meaning of the words they use to describe their products. Consumers have the right to receive across-the-board truth in advertising, full disclosure of the origins of the foods in our food supply, and plain, word-specific language in offers and contracts. And when that doesn't happen, we need to speak up. One thing is certain. Until every advertiser and every retailer adheres to the whole-truth-and-nothing-but-the-truth part of "truth in advertising", it is infinitely wise to wear our "Buyer Beware" persona like a second skin.